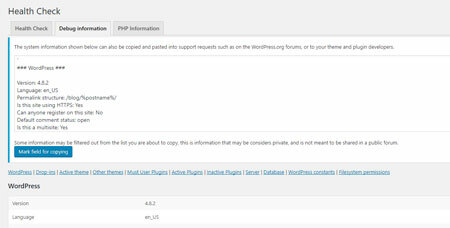 September 28th in Plugin Lists, Wordpress Plugins by Wordpress Jedi . 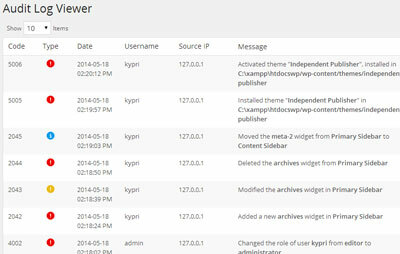 Health Check: it checks your WP, PHP, MySQL versions and detects possible configuration errors. 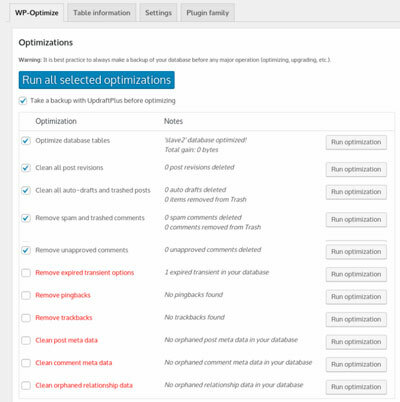 WP-Optimize: automatically cleans up your database to make sure your site runs as smoothly as possible. You can set it up to carry clean-ups weekly. WP Security Audit Log: a real-time user activity and monitoring plugin that maintains an audit log of everything happening on your site, so you can spot suspicious behavior. 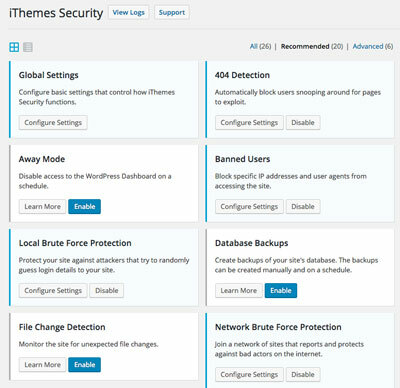 iThemes Security: protects your site against common vulnerabilities, such as weak passwords and obsolete software. It also tracks when users take action on your site. Server IP & Memory Usage Display: displays important info about your server, such as memory usage, IP address, and memory limit in the admin bar. Query Monitor: shows database queries performed, slow queries, possible errors and other issues. Helps you get a better sense of what could be causing your site issues. Which one of these plugins do you use most often? Any suggestions? Add your favorite plugins here.